From the Archives: Can words written in 1900 guide today’s civil engineers? 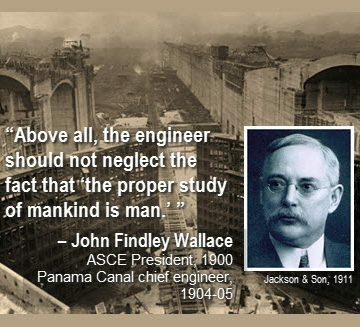 As we celebrate the 100th anniversary of the Panama Canal, and as we look to what it will take to be a successful civil engineer in the 21st century, let’s consider the words of John Findley Wallace, the first Chief Engineer of the canal (1904-1905). Wallace served as ASCE President in 1900 and gave his presidential address in the rooms of the Institution of Civil Engineers in London, England, on July 2 of that year. Here is an abridged version of Wallace’s remarks. 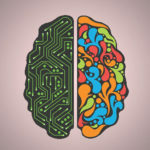 “It has generally been understood that mathematical ability of a high order is a fundamental requisite to success in the engineering profession. This is not necessarily true, as it frequently happens that the person in whom mathematical ability of the highest order exists, is deficient in other essential qualities. While the successful engineer should be a good mathematician, should be a man of integrity, industry, and resources, there are other qualities which cannot be ignored. The engineer who constructs a bridge, no matter how carefully he may design and construct his masonry foundations and steel superstructure, would not be considered an engineer, in the true sense of the term, should he neglect the hidden vein of quicksand which might eventually cause the destruction of the entire bridge. “In the technical schools of the present day much time is spent in considering the strength of materials, the applied mathematics in the investigation of forces; but nothing in relation to the mental and moral constitution of man, which is the live material that engineers must use in fitting Nature’s raw products to the work in hand. There is too much of a tendency among engineers to-day, as ever, to consider the profession entirely a materialistic one, and to confine the education of the young engineer to a knowledge of materials to the exclusion of the mental and spiritual. 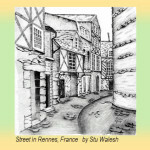 “The prevailing law of matter is inertia. The prevailing principle of the engineering profession is life. The application and direction of the life principle to matter, in order to overcome its inertia, change its form, and adapt it to our needs, is the problem. Neither factor can be ignored, above all the life principle. There is too much of a disposition on the part of our profession to value too highly what are the tools of our trade, to forget for a moment that they are simply tools, and fail to appreciate the energizing factor and the mental make-up of the engineer. “It is not the most expert bookkeeper who becomes the most successful banker or merchant, no matter how important carefully kept accounts may be to the success of a bank or mercantile business. It is not the surgeon who has the finest set of instruments, or even the greatest knowledge of their uses, who is necessarily the most successful. It is not the lawyer who has read the most law, but the one who can discriminate and apply his knowledge to the case in hand, who is the best jurist. So it is not the engineer who is the most expert mathematician, the finest draftsman, or who may design and calculate the most beautiful structure, who is the most successful. “The true engineer of to-day is the one who, seeing a necessity arising in the onward march of civilization, can think out its solution, conceive a project, design the necessary works connected therewith, and carry out the scheme as a whole to a successful issue; at the same time convincing his fellow-men of the necessity for the work, the efficiency and economy of his design, and his own ability to accomplish the desired result. “Our works should increase the comforts of mankind, ‘cause two blades of grass to grow where one grew before,’ enable persons and property to be carried greater distances in shorter periods of time, with increased comfort and convenience and at the least possible expense. The economy of labor should be the ultimate object to be attained. “The best engineer is not necessarily the one who will design and construct an elaborate bridge across a mighty river, but the one who will design and construct such bridge so as to give the greatest amount of facility for transportation over it at the least possible expense. I have in mind a bridge over a great stream in America which, with its auxiliaries, was constructed some years ago at an expense approximating ten million dollars. It brought a national reputation to its engineers. I have in mind another bridge, located within five miles of the same structure, which, so far as railroad traffic is concerned, performs the same functions but cost one-tenth the amount of money. The construction of this latter bridge was a mere incident in the career of the engineers who designed and superintended the work, and it has brought practically no addition to their fame. “In comparing the works of engineers, that engineer is the best who designs and constructs, results being equal, in such a way that the interest on capital invested, together with maintenance charges and operating expenses, are a minimum. It is certainly poor engineering to construct works so massive and with such a surplus of strength and solidity that the interest on the original amount invested far exceeds the cost of repairs, renewals, and interest on a differently designed work which would perform a similar service. Thanks. I agree,engineering is always intended for the betterment of humanity in a positive and constructive way. Success is measured by this principle. Thanks.I agree ,engineering is always intended for the betterment of humanity in a positive and constructive way . Success can only be measured by this principle. I am realy impressed to hear this message. I am a student in DUET.From now I am trying to be a such kind of engineer. I always respected the work of Chief Engineer Wallace in such an unforgiving location. His insight about engineering is very apropos to today’s engineers. Thanks for sharing.